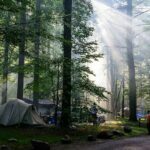 There are quite a few things that you need to pack before you go on a camping trip. Some non-negotiable things that come to mind are tents, enough food and water, clothing, and a first aid kit. 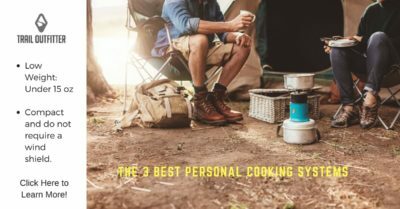 It is also nice to have some camping supplies that can be rather useful, to the point that you may end up using them even when you are not camping. One of these more versatile pieces of equipment is the humble camping chair. 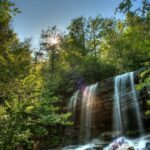 While its name would suggest that it is best suited for use while you are camping, there are few other situations in which a camping chair can also be useful. Today, we will be going over many of the details you may wish to know about camping chairs. We will be looking at things like the different uses in which you can employ a camping chair (hint: there are many). You’ll learn about the various styles of camping chairs, their pros and cons, and a whole lot more. What Is A Camping Chair? Before we get started with the details, it helps to make sure that all of our readers are on the same page. 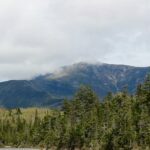 To ensure this, we will be looking at exactly what constitutes a camping chair and the aspects which serve to distinguish it from a regular chair. As you may have gathered from the name, camping chairs are primarily meant for camping. To be effective while camping, a chair needs to have certain characteristics. This will ensure that it is useful when utilized outdoors. 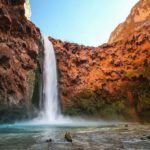 There are several features which immediately come to mind when camping equipment is brought up. Some of them will be discussed in further detail later on in this article. One of the aspects which are mainly important when it comes to any kind of outdoor furniture is a sufficient degree of weatherproofing. This includes treatment and construction materials which ensure that water will not damage your camping chair. But, there are also other aspects included in the category of weatherproofing. 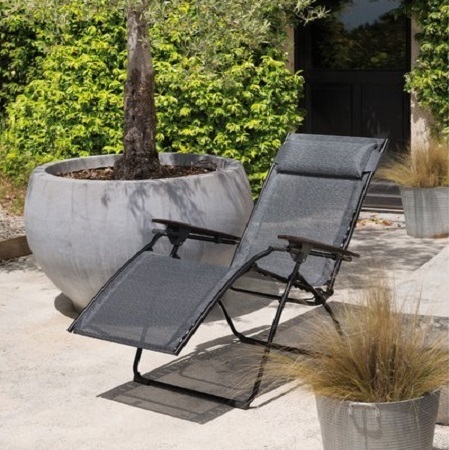 For example, a chair which is sufficiently weatherproofed will not be susceptible to the damaging rays from the sun. Continuous exposure to direct sunlight may wash out the colors or even degrade the quality of the material. A camping chair should also not absorb a large amount of dust and dirt, as this can result in a lot of additional cleaning. You will also want your camping chair to be durable enough to withstand the elements it will be exposed to out in the untamed wilderness. While this includes weatherproofing to a degree, it also concerns the resilience of the materials of which the camping chair is constructed. It is for this reason that many modern camping chairs are made out of ripstop nylon and other sufficiently durable materials. Nylon also has the advantage of not being water absorbent. From the backyard to the ballpark to the campsite, every camping chair has its own place you would like to carry it with you. One of the more popular forms of camping is car camping. 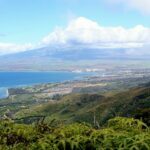 This has become more and more popular over the years thanks to the excellent degree of convenience that it provides when compared to other types of camping. 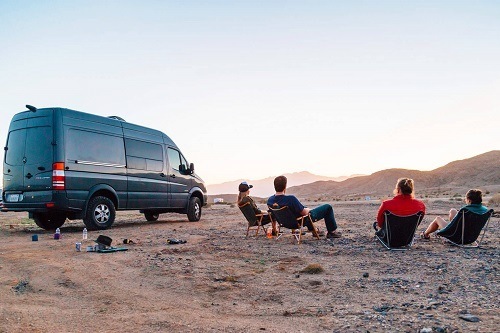 Car camping allows you to avoid the long trek to a campsite carrying all of your equipment, which is the main reason why people choose this kind of camping. But, we are getting a little ahead of ourselves. 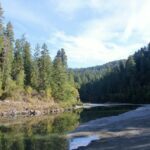 Car camping is simply a form of camping in which you can drive your car directly to your campsite and park right next to where you will be camped out on. This gives you several advantages, such as less carrying, access to your car in the event of a heavy rainstorm, and a few more. Even with the direct access to your car, you will still want to spend time outside of it. Camping chairs are suited for this purpose. They can also be easily folded up and stored at the back of your car. 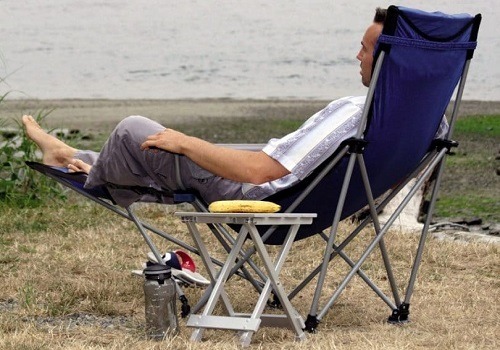 Camping chairs are not only useful for camping, but they can also be used at the beach as makeshift beach chairs. 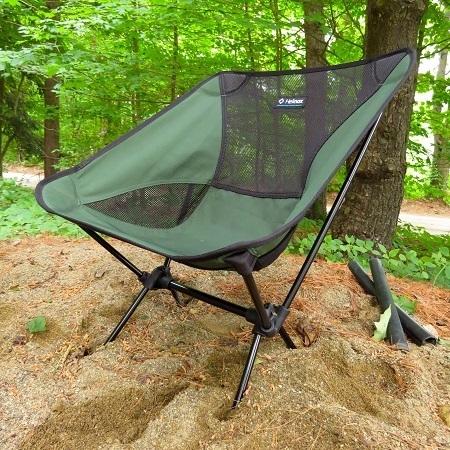 Most camping chairs will be rather resistant to infiltration by dirt and sand, so they are ideally suited for use on beaches which can be both sandy and rocky. The waterproof nature of camping chairs is another reason why they are rather useful when employed as beach chairs. Since it is very likely that people will be sitting down on them as they get out of the water, the chairs will not be too affected by this. However, one thing to watch out for is saltwater beaches, as most camping chairs are not equipped to handle the corrosive nature of saltwater. Another great use for camping chairs is when you take day trips out to the countryside with friends and family. Just because you aren’t camping out, it doesn’t mean that your camping chair won’t be practical when you make use of it outdoors. In fact, since you won’t have to bring a tent, you will have more room for extra camping chairs for other members of your group. As most trips out to the countryside will take place outdoors, the weatherproof nature of most camping chairs will be a definite plus. Camping chairs are also portable and durable enough to be brought and used in the countryside. A traditional camping chair is the most common type of camping chair that you will find. It is probably the kind that you imagine when you first think of camping chairs. They typically feature two armrests and a seat back, with four legs which usually feature cross-braces for support. 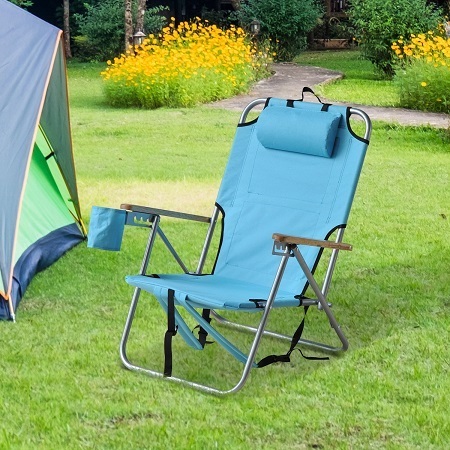 These types of camping chairs are larger than the other subtypes, so they are certainly less portable. This means that you will often need a car or other vehicle to bring them with you. The main advantage of traditional camping chairs is that they are cheap, readily available, and usually more comfortable than the smaller models. The camping chair style which is situated between the largest and smallest models is the portable camping chair. These chairs are meant to be easier to carry around than traditional camping chairs, so they necessarily make some sacrifices. They usually don’t have armrests, but they still come included with legs. Portable camping chairs will usually be in a bowl shape, so they don’t often feature a full-sized backrest like traditional chairs. 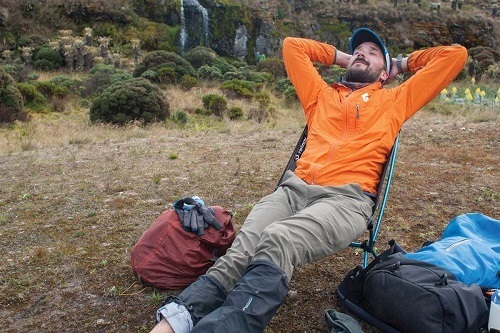 While portable camping chairs are less comfortable than regular models, you can bring a lot more of them with you on a trip due to their smaller size and their superior collapsibility. This is the smallest type of camping chair around. 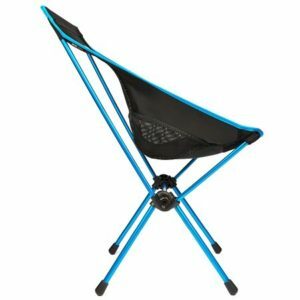 A backpacking chair is designed for backpackers, who need something lightweight which will still provide a spot to sit on. These chairs feature a somewhat unique design when compared to the other two styles of camping chairs. 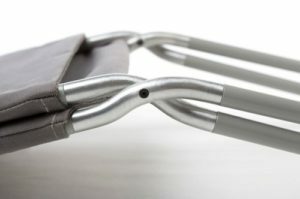 Backpacking chairs usually don’t have legs, but they can have a collapsible frame which ensures that they are durable enough to handle the weight of the user. They can also feature backrests. 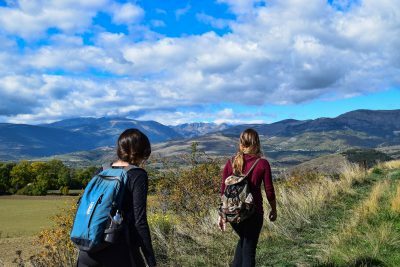 Just as its name says, backpacking chairs can typically collapse into a small enough package to be stored away in a backpack. In addition to the main classifications, there are some subcategories of camping chairs. This can further specify their intended applications and design philosophies. We will be going over four main subcategories, but there are quite a few more which are a little more niche regarding design. As you may have guessed, lightweight camping chairs are designed to weigh as little as possible. These chairs will be the easiest to bring with you to the camping site. You can often carry more than two of them at a time without having to worry about straining yourself or getting tired. Lightweight camping chairs are designed so that any excess weight is shaved off. 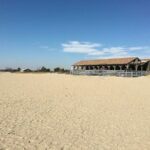 This means that they often don’t include features like cup holders and other amenities which may be seen as superfluous. They can also be made of strong, yet light materials which can cost more than your typical camping chair. 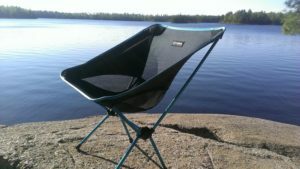 Heavy duty camping chairs tend to be opposed to lightweight models regarding design philosophy. Where weight is trimmed away at every opportunity in lightweight camping chairs, heavy-duty models don’t account for weight. 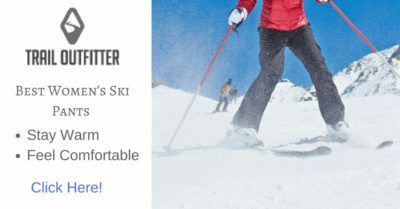 They are designed for extreme durability which will keep your chair working in all conditions. While this may seem a little counterintuitive to the design philosophy of standard camping chairs, heavy duty camping chairs are meant to be portable to a certain extent. They simply trade away a measure of that portability so they can employ hardier materials in their construction. 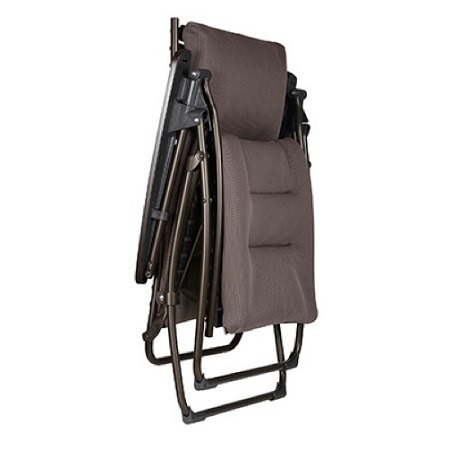 As you may have guessed by the name, folding camping chairs are meant to fold up. They are designed in such a way so that they will take up less space while being stored or transported. 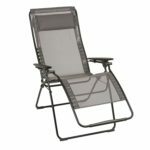 Folding camping chairs are ideal for picnics and other outdoor parties, or simply for large families. 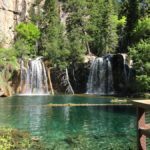 If you have limited trunk space and you would like to bring enough camping chairs with you for everybody, there are few better options than folding camping chairs. 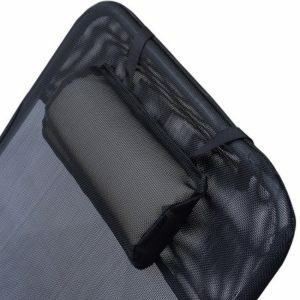 The folding mechanism may make them a little less durable than other camping chair models, so it helps to check their weight capacity before making a purchase. Reclining camping chairs typically do one thing different from the rest of the camping chair models you will come across: they recline. This makes them some of the most comfortable camping chairs around. 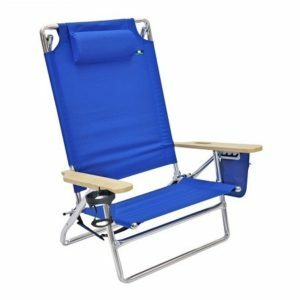 If you need a camping chair which allows you to lounge out and relax, there is no better choice than a reclining camping chair. Whether you want a chair to experience the ultimate comfort level, or you want something that will give you the best bang for your buck, we’ve found the main features you should look for when buying camping chair. Minimal camping chairs are designed with the fewest amenities possible. They can be designed this way for a variety of reasons, whether they are meant to take up as little room as possible, or if the minimal design was chosen as a cost-cutting measure. 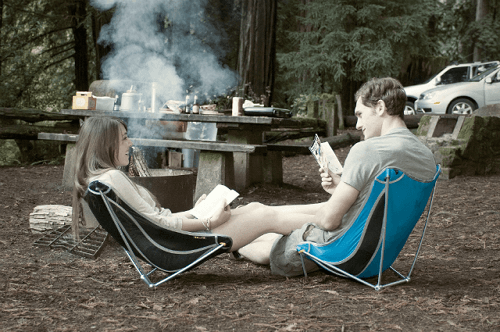 Regardless of the reasons behind the decision, minimal camping chairs are some of the most affordable models you will come across, and they also tend to be much more light than others. Opt for minimal camping chairs if you don’t care for extra features on your chair. Camping chairs which are built in the regular style tend to be affordable as well, but they often include a few features to make them more enjoyable to sit on. These features can include extra cushioning, cup holders, and a few other basic additions for the end user. This is, by far, the most common variety of camping chair that you will come across, though they will often not excel in any single category. 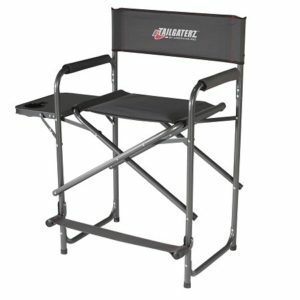 Regular camping chairs are meant to provide a baseline experience for beginner and veteran campers alike. Opt for these if you don’t need anything special. The final type of camping chair that we will be looking at is the luxurious camping chair. These models tend to be the most expensive ones, but they also come included with the most features. A luxurious camping chair can make you feel like you’re sitting at home, even in the wilderness. They tend to be far more comfortable than most other camping chair types thanks to the inclusion of extra cushions and padding. Unlike regular camping chairs, the included padding is usually made out of high-quality material, like memory foam. The weight of your camping chair can have a few effects on other specifications. For example, as we discussed earlier, a heavier camping chair will typically be more durable than one which is lightweight. 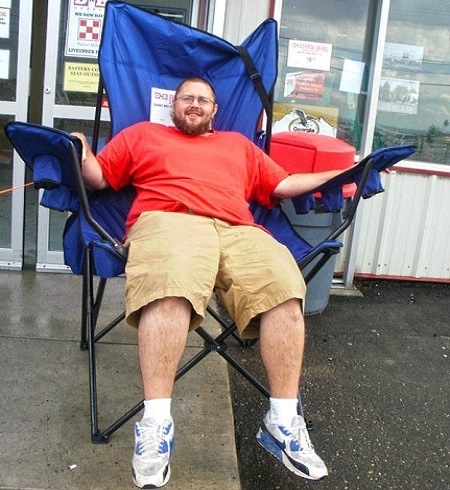 There are a few downsides to heavier camping chairs to take into account, however. A heavy camping chair will be harder to carry from your vehicle to the camping site, so it may take a few more trips back and forth to make sure that all of your chairs are set up. Heavier camping chairs will also be harder to unfold when you start camping or to collapse when you are done. Another aspect of accounting for is the size of your camping chair. 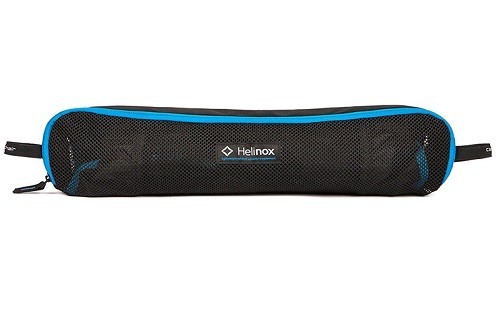 Size will have a huge effect on just how portable your camping chair is. Big camping chairs will obviously take up more room, both when in storage and when you bring them along. Larger models will typically have to be transported by car. Small camping chairs are much more convenient to carry, and you may not even need a vehicle to bring them along with you, but they have a few cons as well. They tend to be less comfortable, since there is quite simply less room for you to sit down, and they come with fewer extras. 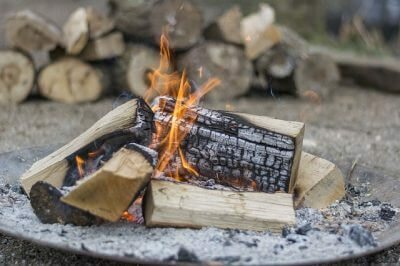 The materials used in the construction of your camping chair will have a significant effect on several other characteristics. When it comes to the seat fabric, the most common materials are synthetic fabrics like polyester. A very popular and durable choice is rip-stop nylon. The frame can also be made out of a variety of materials. 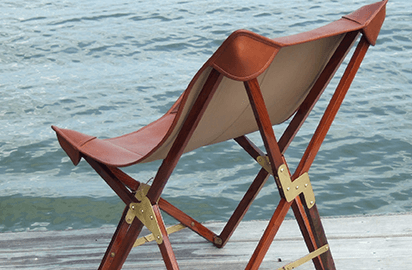 If you want a more retro-style camping chair, you can opt for a frame which is made of treated wood. Common materials used are stainless steel, for its rust resistance, and aluminum, for its corrosion resistance and light weight. 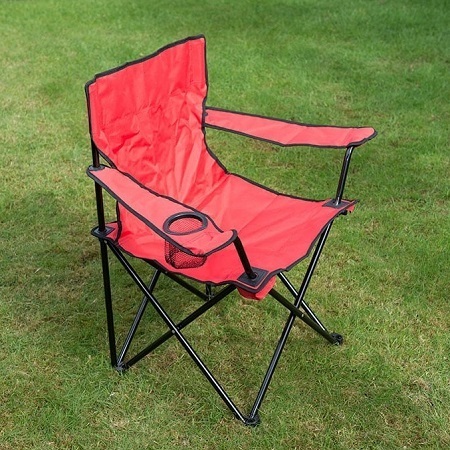 Something which is very important to a camping chair is the degree of portability which it features. Camping chairs would be much harder to transport if they did not fold. That’s why it is important to find a camping chair which folds up easily and stays in a compact shape when folded up. 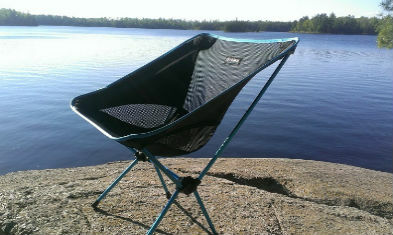 A camping chair which folds up into a small package is ideal for those who want something that they can bring with them without the aid of a car. It also greatly increases the ease of storing away your camping chairs when they are not in use, allowing you to put them in a closet, instead of all the way down in the basement. Cup holders are a useful inclusion for camping chairs since they allow you to keep your hands free while you are using them. Some models feature cup holders which can be used to store a wide variety of objects, not only cups. This also prevents you from having to leave your drink down in the dirt. 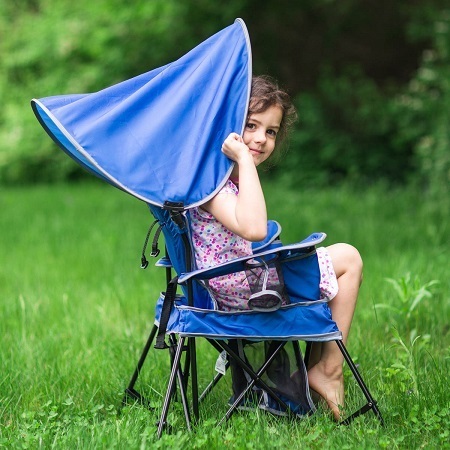 Camping chairs with pockets add a similar level of convenience as those that come included with cup holders. Pockets are a little more versatile. They will allow you to store more than just beverages in your camping chair. It is a useful feature since you will rarely find tables while out camping. Cushions will make your camping experience so much more comfortable than if you were to sit on an uncushioned chair. Camping chairs which do not come included with built-in cushions can tend to get rather uncomfortable after a while, so it is important to invest in models with adequate padding. Footrests on camping chairs allow you to recline and relax. With them, you don’t have to worry about finding something to prop up your feet on. This may be a useful inclusion for someone who wants to have their feet up when relaxing. Big Agnes is one of the more beloved manufacturers of not only camping chairs but camping supplies in general. They strive to provide their customers with the best customer service possible. Their products are designed to provide the most comfort, and the same can be said for their camping chairs. Check out our detailed review of the Big Agnes Helinox Camping Chair here. Lafuma is a company which comes from France that features two main divisions. 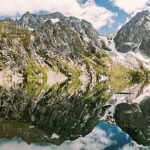 Their first is involved in making outdoor wear and other resilient clothing for use in the wild. The second is the one which is relevant to us, manufacturing outdoor furniture, including stools and camping chairs. 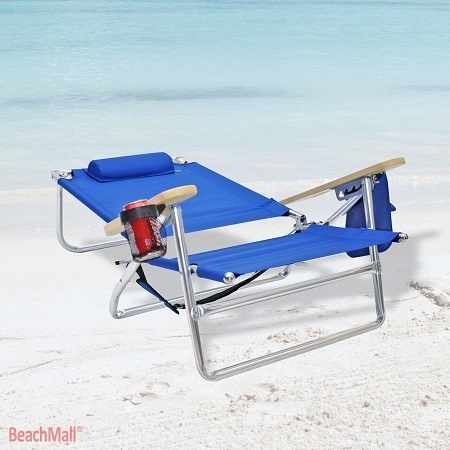 As you may have guessed from the name, Beach Mall specializes in making camping chairs ideally suited for use on the beach. This means that their chairs are more resistant to water than your typical camping chairs. They are designed to keep sand out of their workings and fabric. Check out this review of a Beach Mall Camping chair. The last company we will be looking at is Tailgaterz. Similar to Beach Mall, their name gives you a hint as to how their chairs are intended to be used. These chairs are ideally suited for use while tailgating, so they will often feature an abundance of cupholders. They are also reported to be a little more comfortable than other camping chairs. When it comes to maintenance, you will want to ensure that your chair’s mechanical components are always properly lubricated. Before cleaning your chair, check the instructions that come with your specific brand and model. Camping chairs can be made of different materials and may require different cleaning methods. 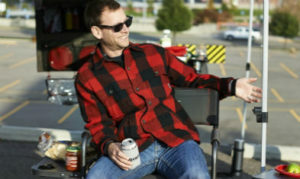 Now, we believe that we have given you more than enough information to confidently make a camping chair purchase. Feel free to check around our website for detailed reviews of some of the popular camping chairs available. If you have any questions, go ahead and leave them down in the comments below. We will get back to you as soon as we can!